Can ADS-B for certified aircraft be far away? With the FAA’s ADS-B deadline looming 41 months from now, some aircraft operators are hoping the agency deadline will slip, offering everyone more breathing time to schedule the work. Contrary to the laws of supply and demand, many of those same operators are also hoping that equipment and installation costs will decline. A low-cost, easy-to-install ADS-B solution actually might not be that far fetched if Palo Alto-based uAvionix continues successfully tweaking the collision-avoidance system they’ve already created for the unmanned aerial systems (UAS) marketplace. uAvionix is bringing its micro ADS-B products to AirVenture next week hoping to create some buzz for the experimental and light sport aircraft markets that don’t require complex and expensive FAA certification. That said, it’s not much of a leap to contemplate a uAvionix product safely separating manned airplanes from drones in the not-to-distant future, a problem the Radio Technical Commission for Aeronautics (RTCA) has been struggling to solve for some time. Founded a year ago by Paul Beard, a man with a proven history of creating disruptive innovations, uAvionix chose a tough road to solve the drone/aircraft collision avoidance problem. Rather than simply programming off-the-shelf technology for an answer, uAvionix designed and built its own micro circuitry called a Ping Chip under incredibly demanding size and microscopic power requirements. Weighing fractions of a gram and just 5mm square, the dual-band Ping Chip, receives both the 978 UAT and the international 1090 ES frequencies. From the Ping Chip came the pingBuddy, an ADS-B receiver with built in Wi-Fi and ADS-B dual link in. The pingBuddy, weighing just 12 grams, will easily integrate with most traffic and weather EFB apps via an iPad’s internal GPS. Priced at just 99 bucks, a Ping Buddy can be installed in a cockpit with a piece of Velcro and a short power cable in less than 15 minutes. 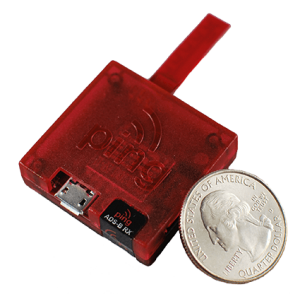 Also being introduced is pingEFB, a 5 gram USB interfaced receiver compatible with the popular homebuilt Stratux ADS-B system. 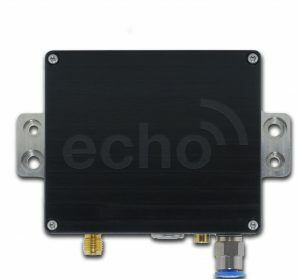 But the Holy Grail for operators is the Echo ATU20, that company’s all-in-one ADS-B In/Out solution. uAvionix calls it the world’s smallest and lowest power self-contained, full-featured ADS-B system. When asked why uAvionix is going after aviation, traditionally not a mass market for this kind of technology, company COO Ryan Braun told Flying, “While the Ping Chip was designed for the mass market of UAVs, our uAvionix team, half of whom are pilots, knew the aviation industry desperately needs what we’ve created.” Find uAvionix at booth 4054 in Hangar D.